Soak up some of London's incredible history with this informative and educational tour that is also fantastic fun! London Bridge, London Tombs and much more - this tour is perfect for the adventurous! If you want to experience the real London, then this fantastic London Bridge Experience is for you! This London Bridge visit is truly a step back in time, as you really experience what London Bridge was like through the ages. The tour is based within the vaults and tombs of the original 1831 bridge. You will see some faithful recreations of the past bridges - wooden, stone and medieval, and each of these are presented to you by live characters wearing carefully put together costumes of the time. You will learn some grotesque and gruesome facts about London that you won't hear from any normal tour - and there are a few frights and 'surprises' awaiting you, so be prepared to jump! This is a hugely enjoyable experience that you are sure to remember forever - great fun for all the family! As you work your way around the bridge, you will be entertained and amazed by computer generated images and character actors of famous figures (including King Olav, Charles Dickens and Sir William 'Braveheart' Wallace) as they tell you wonderful stories all about their association with the bridge. The London Bridge Experience is about education too. A display dedicated to the memory of the late eminent historian Peter Jackson, including his wonderful illustrations of the bridge throughout history. You will also experience first hand the fires that destroyed the bridge. 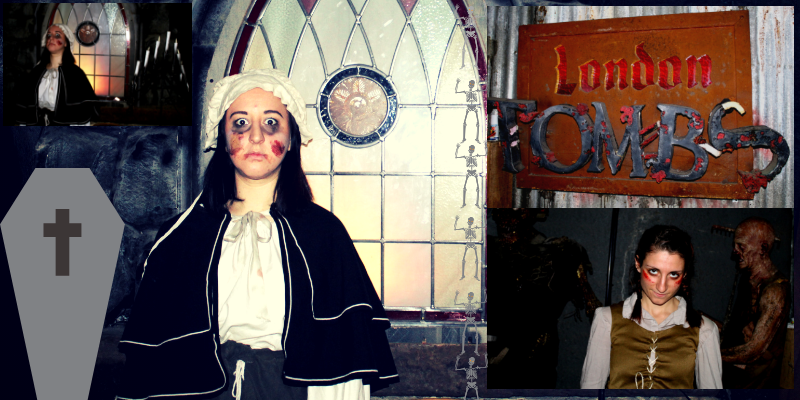 Now, if you dare, enter the London Tombs, and prepare to be amazed, frightened and completely overwhelmed by the special effects and the historical and creepy atmosphere - there is only one way out after that! ** On December 24th, 26th, 31st and January 1st it is open between 11am - 4pm. On 25th December it is closed. The London Tombs section of the attraction is very scary so we recommend a minimum age of 11years when accompanied by an adult. It contains strobe lighting, very dark areas, and ‘monster’ actors who jump out at you without warning. It is therefore unsuitable for visitors who have epilepsy, heart conditions, asthma or women who are pregnant. This does not apply to the London Bridge section as this is perfect for 7/8 year olds.Disabled access all the way through. The London Bridge Tour lasts around 40 minutes and then its down to the London Tombs for about 20 minutes. Participants: The London Tour Experience - London Bridge is for 1 participant. This experience is suitable for groups. Where something comfortable as you will be on your feet most of the visit. This experience may be affected by bad weather. 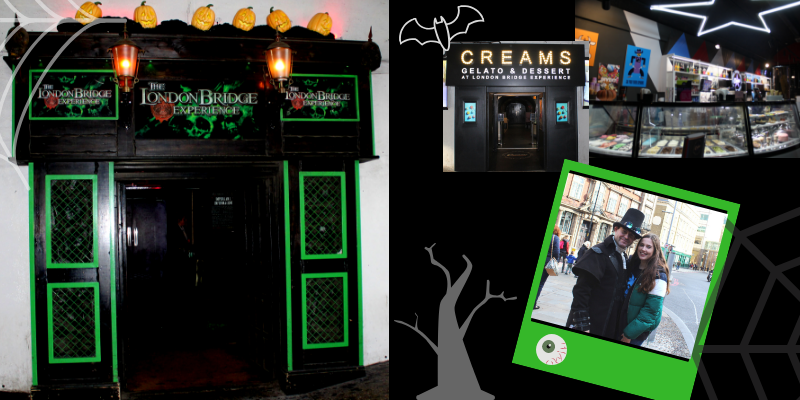 My best friend and I went to the London Bridge Experience for my birthday as I love all things scary!! This definitely did not disappoint. With lots of live actors and a room which makes you feel like you are going back in time, the attention to detail was crazy. We learn a lot before going into the tombs where we were left in a group to fend for ourselves. I will be doing this again!! What an evening! I decided to take my husband and sister-in-law for a London Tour they definitely wouldn't forget! The tour itself is incredible - well put together and very informative. 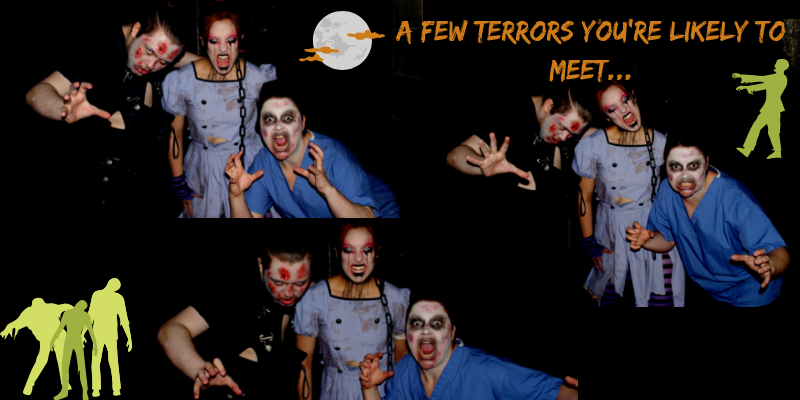 The actors are straight into character and really do make you shiver...Be prepared for the London Tombs, my sister-in-law and I were both holding onto my husband like our lives depended on it!! Overall, the tour was great fun and really did get us screaming! Halloween has been and gone, but that doesn’t mean we can’t enjoy some haunting. The atmosphere was perfect for the day’s events: dark, foggy and with a chill in the air! We travelled by train from Brighton to London Bridge, placing us a short walk away from the doors of The London Bridge Experience. As we approached the box office, we were greeted by a Medieval character with blood all over his face, who invited us up onto the stage. A little nervous, Gemma and I wandered up to take our places. Gemma was about to have her head cut off! Just joking… this was a little trick they played on us, the unsuspecting public - but Gemma displayed her best acting skills for the show! We were then showed to where the experience would begin, and of course this was under the bridge! Around the back of the box office is a dark tunnel, where the dark foreboding doors to the attractions stood. Inside, there was a ticket barrier. We displayed our vouchers and walked through to the waiting area. After a few minutes, the rest of our group arrived, and in no time at all, a Medieval woman opened the doors… The experience had truly begun! From the Roman invasion, to the Great Fire of London, to details about the bridge’s previous keepers, we were informed all about the history of London Bridge as we followed our host from room to room. Each aspect of the set was cultivated to make the experience as realistic as possible. The props, sound effects, and lighting all came together to make the attraction even more haunting. Each performer was exceptional, and brought their own charisma to the stage. My favourite room was the Jack the Ripper scene, where we were taught about his brutal murders and disturbing acts. Gemma and I were shivering with fear by the end of the story. 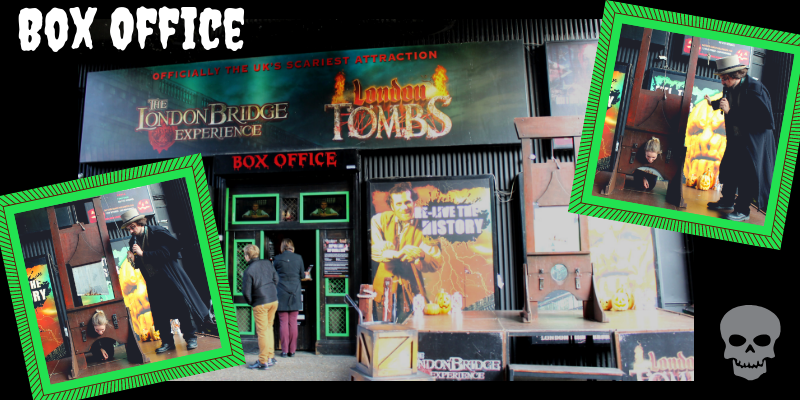 Next, it was time to venture into the London Tombs… now, if you haven’t heard too much about this part of the experience, then you may not want to! Participants are given the chance to back out, and due to the nature of the attraction, a few individuals are even advised not to go in at all. I looked at Gemma for support, knowing I would be holding onto her the whole way around. I wasn’t wrong! We headed deep underground into the tombs, where we were given a safety briefing and a photo opportunity in front of a green screen. The tension could have been cut with a knife, as our whole group was just waiting with bated breath for any sort of jump scare. Finally, it was time! We were instructed to hold onto the shoulders of the person in front of us. Gemma ‘volunteered as tribute’ and became the front of our line. I was behind her, holding on for dear life as I had first expected. Now, I don’t want to spoil anything, but be prepared for quite a few frights and screams. The London Bridge Experience has been crowned the U.K.’s scariest attraction, and I’m not surprised. The tombs are a waking nightmare – from tight spaces, to creepy clowns, to beaten-up dolls, the tombs have brought the biggest fears to life. We finally saw the light of day and escaped through the exit. To our surprise, the tour ended with us in Creams! We definitely needed some sweet relief after our harrowing experience so this was perfect! A huge thank you to Ian and the team for making our visit as terrifying as can be; it was brilliant fun, and I can’t wait to bring my friends along next time for an exhilarating London evening out!